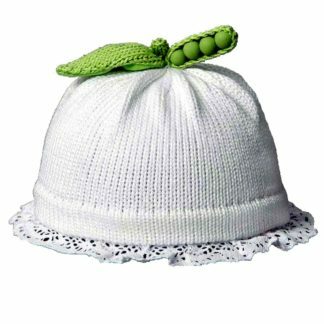 Chick pea, snow pea, black eyed pea, all are really sweet peas. 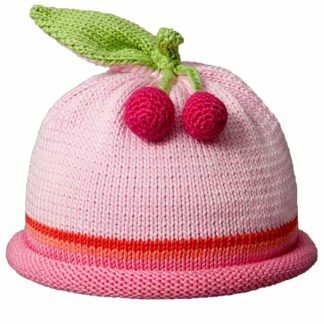 Not to mention how ‘sweet’ the Little one is in this cute design. The green colors together with the assorted colors of the rest of the hat are really yummy. The 100 percent mercerized cotton yarns we work with give endless possibilities to create the most exciting styles and color combinations. 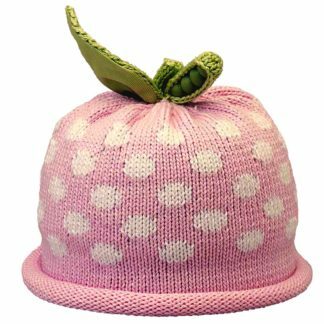 The Sweet Pea knitted hats are decorated with a knitted leaf and pea pod containing four peas. 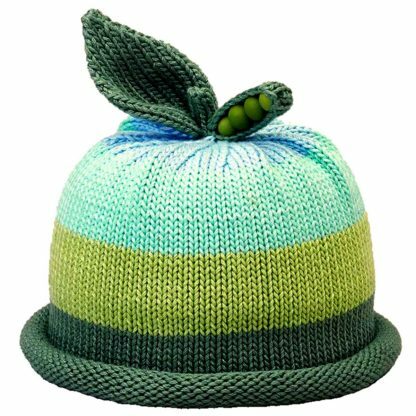 The peas are painted with a non-toxic paint and are sewn four times for added safety. The ladies knitting the hats are moms, so safety is a priority. 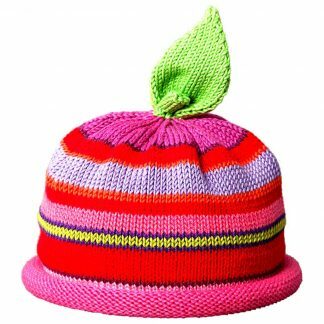 The yarns meet international standards for safety. The wide stripe designs feature multiple colors in different width stripes. 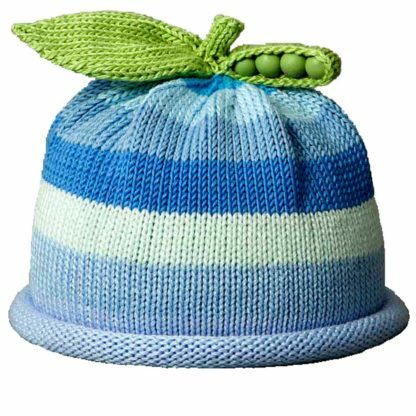 The Sweet Pea’s pod, leaf and peas are green or dark green to coordinate with the stripe colors. 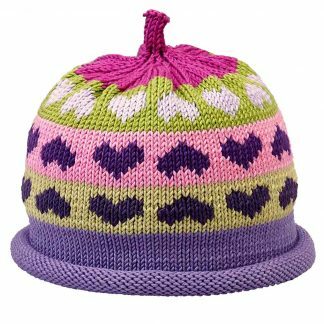 Each hat is hand-loomed when ordered, making each one of a kind. All orders are shipped within 2 to 3 weeks of the order date.